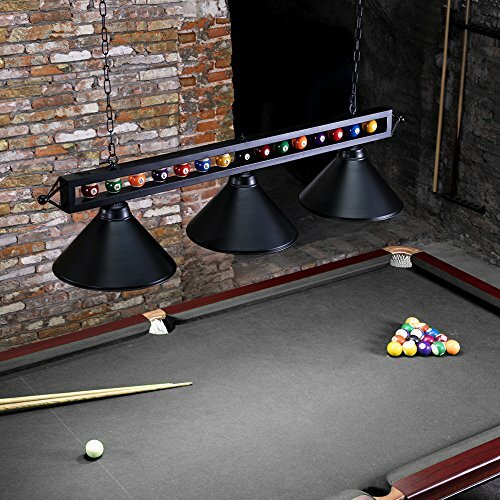 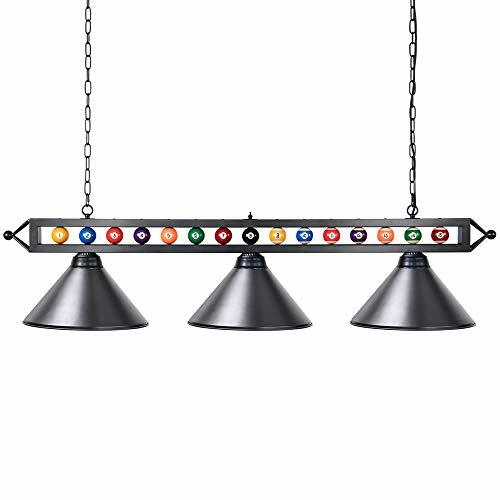 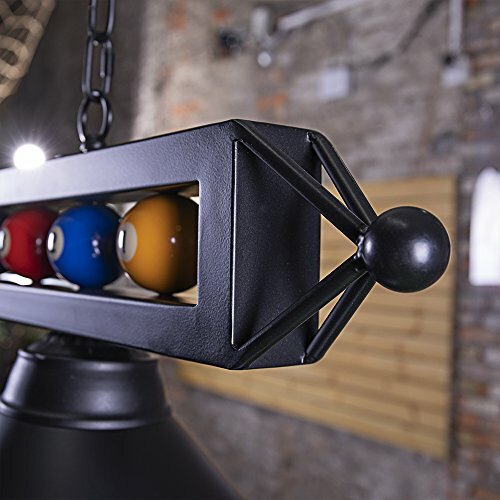 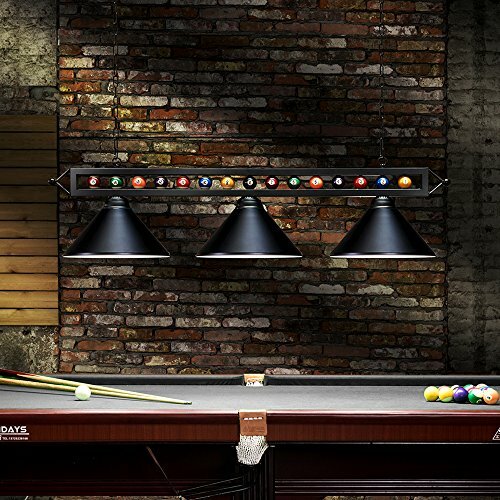 Chende 59” Hanging Pool Table Light Fixture for Game Room Beer Party, Ball Design Metal Billiards Light with 3 Lamp Shades, Suitable for 7′ or 8′ TablesAppearance : Unique billiards arrangement design, billiard decoration and lamps unity, billiard parlor become more professional thanks to this lamp. 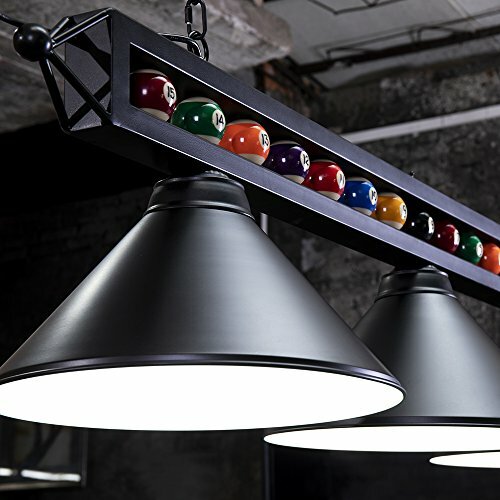 Size : Fixture size of L59.05″×W14.17″×H13.26 “, suitable for International standard American pool table, snooker table…. 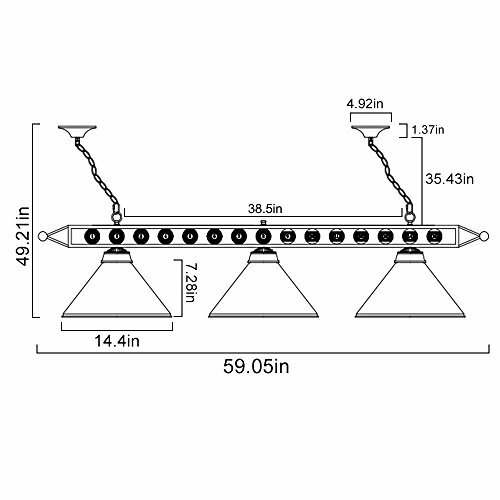 Chain length of 35.4”, can be adjusted by using the buckle on the chain as you need.